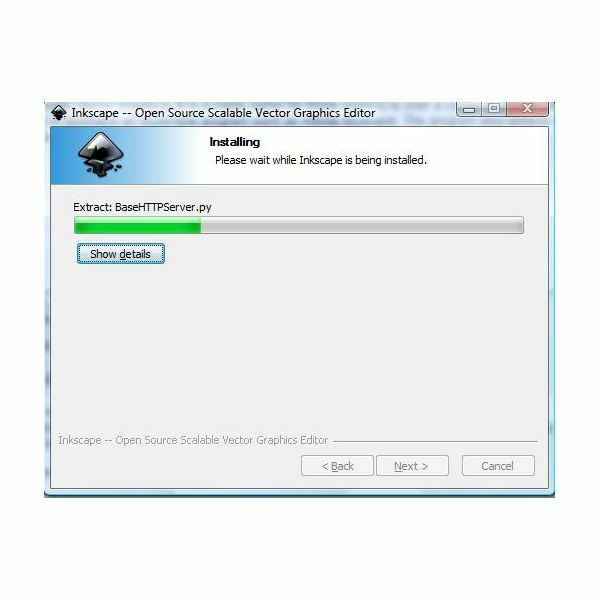 Inkscape is open-source vector software, intended to serve as a replacement for Adobe Illustrator, CorelDraw, or Xara X. The program uses the Scalable Vector Graphics (SVG) format for files. 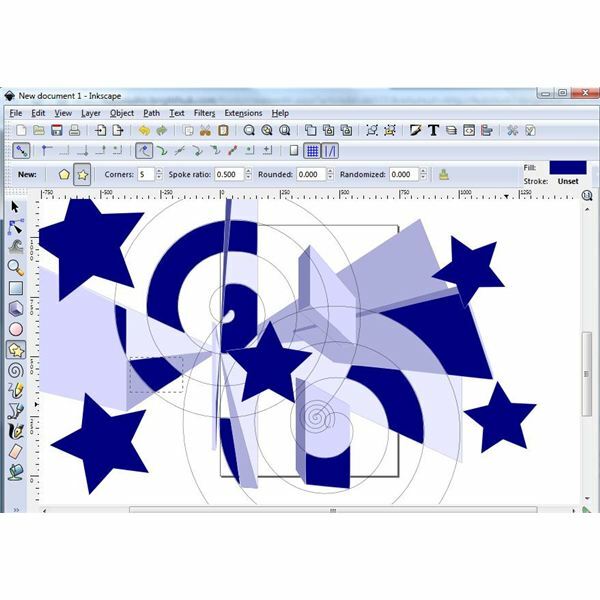 It serves as a formidable replacement for more complex and expensive program suites, and supports some of the more advanced features of SVG graphics editors. The program can make a great replacement for proprietary software, especially for beginning freelancers and small businesses. Inkscape works on both PCs and Macs. To install and setup Inkscape, go to the download page and select the appropriate file format. For the purposes of this article, I used the Windows installer option. The program downloads an .exe file and you click it, then select the appropriate options for your computer and purposes. The installer was a little slow, probably because there were so many files needed, so be ready to wait 5-10 minutes for the program to be fully installed on your computer. Once the installation is complete, you are ready to go. Inkscape's user interface is fairly intuitive, if you're familiar with comparable graphics software. The program has enough depth to make quality graphic designs comparable to what you would make using Illustrator or CorelDraw, yet the interface is simple enough for a newbie to graphic design to create an attractive layout. I must, however, knock some points off in this category since the program crashed on me twice while trying to use a template for a project. Shape creation of rectangles, stars, spirals, circles, etc. Features are very important when considering a program for editing graphic designs. The features of Inkscape are quite useful and help to add to the overall functionality and utility of the program. The great thing about Inkscape is that you are able to brand your projects, create icons for your desktop (many of the icon sets used for Linux were created using Inkscape), design webpages, create marketing materials, and create maps for gaming. In fact, you can do just about anything you would want to do using the more expensive proprietary software programs for SVG graphics editing. The user support available for Inkscape is quite helpful. Among available support items are: documentation, screenshots of projects others have worked on, tutorials, discussions and forums, a Wiki site, bug reporting, feature requesting, and more. The great thing about the open source features of Inkscape is that its creation truly is a collaboration between users and developers. Inkscape users can log items they would find beneficial in future releases – this means that if you use Inkscape, it is very likely that your ideas and needs for improvement will be implemented. Adobe Illustrator CS6 costs north of $400 alone or over $900 as part of the CS6 Design premium suite. CorelDraw X6 will run you about $499, and Xara X will run you about $149. How much is Inkscape? It’s free. This makes it a prefect program for the independent graphic design professional. What will you do with that extra $250-$600 dollars for your business? Will you purchase a scanner and a high-quality printer? The fact that Inkscape does much of what the proprietary software does makes it a great value for a great price. Inkscape is a great program for you if you want to avoid spending a lot of money on a graphics software program. 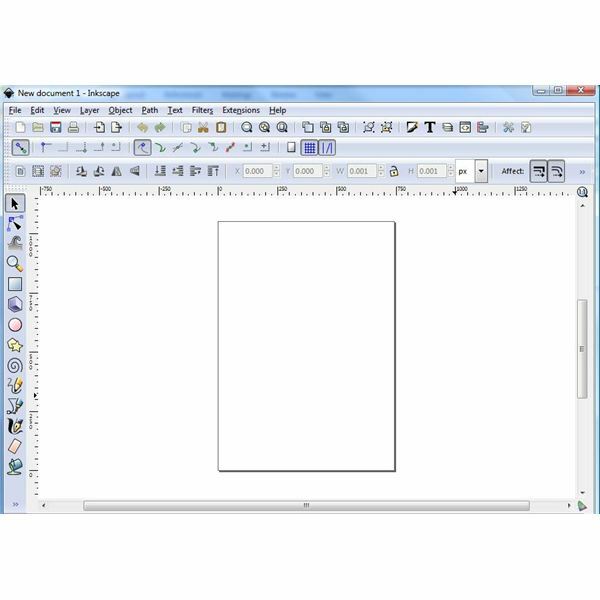 If you need an SVG graphics editor, Inkscape can fulfill this need. If you're fresh out of college and you're hoping to improve your portfolio, or you're starting a graphic design business on little funds, Inkscape can offer you the perfect solution to your startup capital needs. If, on the other hand, you need a heavy duty editor, you may want to go with one of the proprietary options. The program is highly recommended if you need light SVG graphics editing functions.